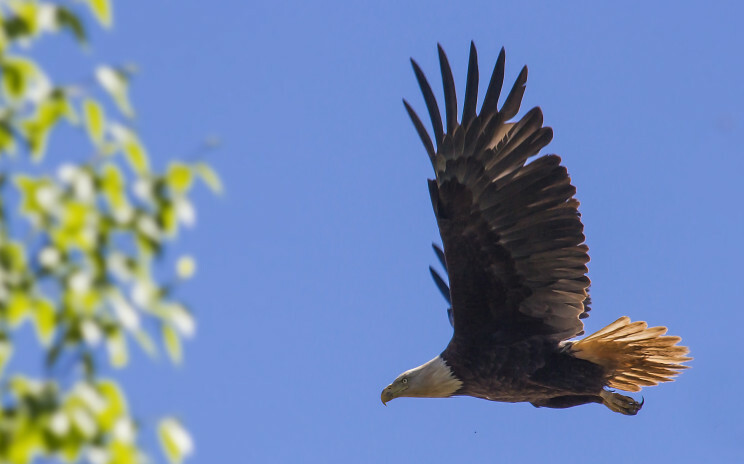 It was always one of my goals to capture eagles in my lens. I have always thought these birds to be so graceful and majestic, yet so very strong. I was traveling towards Alma in search of eagles when I happened to look up on a dead tree in someones yard and there it was. This huge amazing creature perched there overlooking everything below him. I stopped the car and jumped out capturing a shot or two. Someone else came along and told me about a graveyard just before Hopewell Rocks that had an eagles nest. I went on to find this graveyard, got permission from the groundskeeper, who in turn showed me where the nest was located. I was so happy that there was eaglets in the nest, I could barely see them through the massive pine, but knowing they were there meant the parents would be flying back and forth feeding them. I was able to capture several shots that day as the parents fed their young. One of my most favourite shoots.